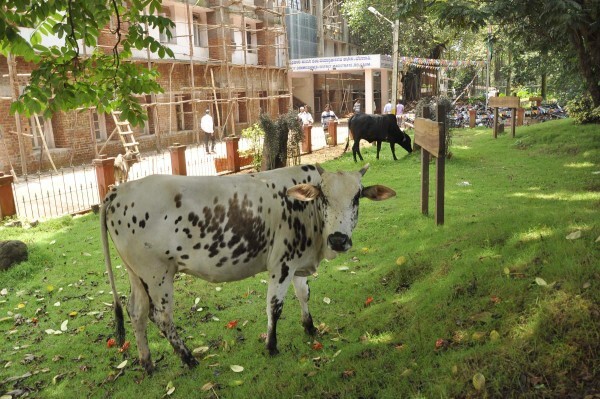 Stray cattle roaming around freely in Belgaum has become a serious menace. Many have been injured due to accidents involving stray cattle. The root cause of the problem is the unplanned dairies, inside and around the city. The owners, after milking the cattle, leave them loose so that they can graze outside. Non-milking cattle is also left loose to save on their feed. Despite repeated requests by the local residents, the local Administration is yet to find a suitable solution to the aggravating problem. 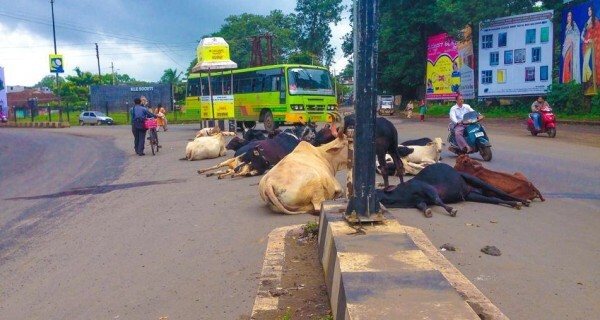 The stray animals pose a serious risk to the lives of the commuters travelling on these roads. The risk elevates during night as drivers are unable to spot an animal on the road.